The EDrive Fortis is a highly energy efficient, industrial battery charger for traction batteries. The charger is very simple to use. One can then immediately see the charging status with the LED lights. The modular aspect of the charger enables fully individualised solutions. The EDrive Fortis is also extremely budget-friendly making it the ideal charger for any charging room. The EDrive Fortis has a separate AXIFF software package. This program can be used to make a very wide range of settings. One can configure individual charging curves for example. 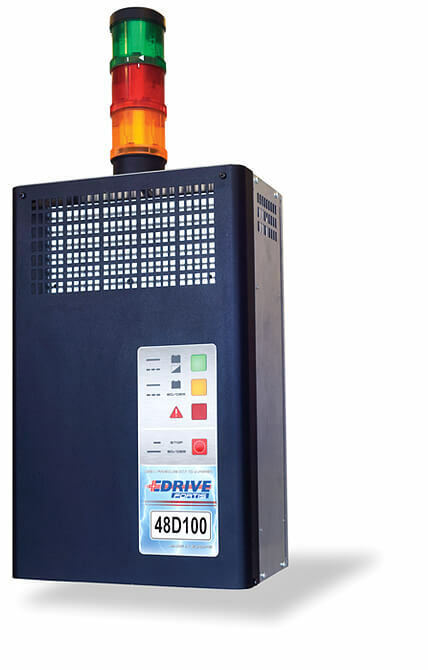 An external signal light is a very handy option with the EDrive Fortis. It clearly shows the status of charging using 3 different lights: red, orange and green. There are also 2 outputs for remote display. A relay can be used to control external appliances. The EDrive Fortis also has 2 digital inputs for remote control. If required, all sorts of solutions in line with the customer’s needs such as special voltages, moisture and dust protection, adapted firmware, etc. can be provided.